If you’ve been watching Aziz Ansari’s Master of None on Netflix, you’ve probably noticed that many of the characters are inspired by the real lives of the show’s cast and creators. Dev has many similarities to Ansari, Lena Waithe’s Denise was influenced by her, and Kelvin Yu’s Brian was inspired by both the actor and co-creator Alan Yang. 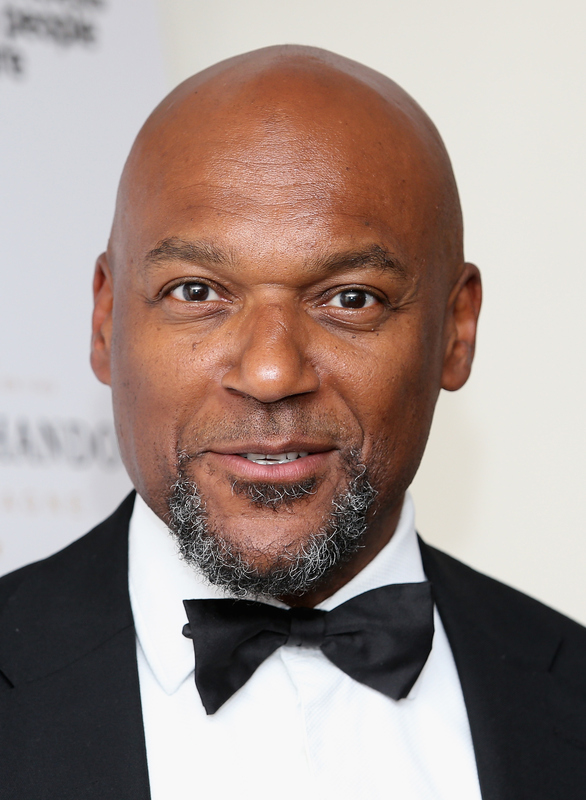 With real people, or “heightened versions” of real people, portrayed throughout the series, it is funny to think that the one actor who plays himself varies the farthest from the truth on Master of None: Colin Salmon. We meet Salmon’s hilarious version of himself as a serious yet eccentric Shakespearian actor on the set of Dev’s fictional “black virus" movie, The Sickening. When the audience is first introduced to the quixotic character, he tells a bizarre story about how that day is the anniversary of the disappearance of his cat, aptly named Shakespeare. Fictitious Salmon apparently took Shakespeare to the Swiss premiere of Alien vs. Predator and lost him at a picnic near Lake Geneva when an owl swooped down and “snatched Shakespeare in his talons.” Wow. In addition to a penchant for homemade Cinnabons, Dev quickly learns that Salmon wants his help with a movie where he plays a car, aka Carman. The entire bizarre sequence ends with an epic domino memoriam to Shakespeare the cat. Salmon played such a hilarious character on Master of None that I can't be the only wondering about the actor IRL. Here are eight things to know about Salmon’s real life. He was born Dec. 6, 1962 in Bethnal Green, London, England. He played Walter Steele, Oliver's stepfather, in the CW series' first two seasons. Salmon portrays Mr. Sands on the CBS spinoff of the Bradley Cooper film. He played Maxwell Stafford in 2004’s Alien Vs. Predator, but luckily, the story of Shakespeare the cat's tragic loss at the premiere seems to have been made up for Master of None. Salmon played Dr. Moon in the David Tenant-era episodes "Silence in the Library" and "Forest of the Dead." Salmon played Charles Robinson in the Pierce Brosnan James Bond films Tomorrow Never Dies, The World Is Not Enough, and Die Another Day. Salmon has been married for more than 25 years to Fiona Hawthorne, and together they have four children. He did a really cool TedTalk incorporating his music with his children's advocacy work. Maybe if Master of None returns for a second season, Salmon will get to show off his musical skills.